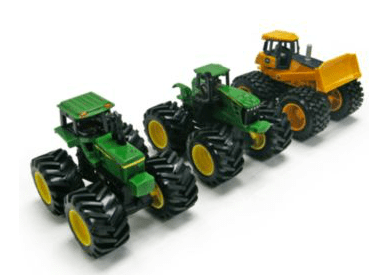 Produced by Ertl and officially licensed by John Deere, these off-road monster vehicles are ready to tackle any obstacle that lies in their path! Each off-road vehicle features fully-functional parts, super-bouncy tires, and all-terrain steering. Price per vehicle. Styles subject to availability.